MEDIA: Email all media queries to britishbusinessflorida@gmail.com But media on breaking stories/deadlines best call my direct office line  371-9340 to reach me immediately. Ask for publisher Patricia Kawaja [ex-Londoner]. Permission granted to use any source information on this copyrighted website but please credit the British Bureau of Florida as a source on your show/article. OTHER: Scroll down for list of clients and past work. OUR PAST AND PRESENT MARKETING CLIENTS INCLUDE: Norwegian Cruise Holdings Miami, Vienna Cafe and Bistro of Cooper City, Royal India of Ft. Lauderdale, Moneycorp of Orlando-UK, Bloomingdales in Boca Raton Mall, Caribbean Premier League Cricket Miami/Ft. Lauderdale, British Marketplace in Davie, Disney World Sports Complex in Kissimmee, Orlando Soccer Club, NZ Cricket Organisation for Ft. Lauderdale cricket tournament, Paramount Pictures for UK movie promotion, LiveNation Promoters –the world’s largest promoter [repeat client] , for UK stars coming to Florida, Bayfront Amphitheatre Miami, Broward Center for the Performing Arts, Parker Playhouse Ft. Lauderdale, Ft. Lauderdale Film Festival, Arsht Centre Miami, Maltz Theatre in Jupiter, Miami Book Fair, Books and Books Miami. International Polo Club in Palm Beach, Scottish-American Society of South Florida, Beatles Cruise promoters in Boca, Harrods Furniture in Ft Lauderdale, Fillmore Miami Beach, 9 Round Fitness Centre in Boca Raton, Florin Pensions UK-Florida, Ziva Staffing in Miami, Kravis Center Palm Beach, LLoyds Bank USA, Bartons Beers of Chicago, Stella Artois beer distributors marketing, Virgin Atlantic Airlines, Books and Books Miami, SkyNews UK in Miami, AEG show promoters Florida, Vogue Magazine, Moore Team Realty of Bradenton, Rumba Miami God Save the Queen Tribute Band, Voyages of Discovery Cruiselines in Ft Lauderdale, Trinity Cathedral Miami to attract English bellringers, British Airways Florida-London flights, the BBC, ITV and many UK media filming in Florida, British Consulate Miami and many others over the years. Each has used us to target the British community in various parts of Florida. New Florida Mortgage Services of Palm Beach. Many are repeat clients, satisfied with the results. [This list updated 2019]. January 2019…Various US Media working on Brexit stories contacted us for quotes/content/interviews, pre and post Brexit vote. October 2018. Assisted UK media, like ITV News, who contacted us re Gulf Coast Brits living in path of Hurricane Michael. real estate rentals in Florida. July 2017 Boomerang TV [for Channel 5 in UK] consulted us re future filming in Florida. June 2017 UK TV Company in Manchester used as for research for their planned programme about Expat Living in Florida . June 2017 UK Film production company in Cardiff used us as resource for their planned Florida programme. June 2017 Special Edition Films in London used us for research on planned programme about Expat Brits in Florida. May 2017 Boundless TV productions in London used us for programme research. April 2017 UK TV producers consulted us re their show shooting in Orlando May 2017 about science fans. April 2017 UK publisher contacted us to write Florida city sections for his new guide to Florida relocation. February 2017. ITV News UK contacted us about finding British contestants in Florida for a game show they were planning. February 2017 God Save the Queen band hired the British Bureau to promote their 3 Florida shows. January 2017 Balson British Meats in Asheville, North Carolina hired the British Bureau to promote their British bangers in Florida–now stocked in all Florida CostCos. January 2017 The Scottish-American Society of South Florida [SASSF] hired the British Bureau to promote their annual Burns Supper + Scottish Festival. October 2016 ITV ‘s Today in Britain programme—their crew flew into Miami from UK—-used the British Bureau as a source for their Hurricane Matthew news story. July 25, 2016 Client: The Caribbean Premier League used our marketing services to promote their July 2016 international cricket tournament in Lauderhill. June 2016 Orlando Sun-Sentinel consulted me for article on Brexit , re feelings of expat Brits across Florida. March 2016 Kravis Center Palm Beach hired us for publicity services to promote 2 British shows. March 2016 CACTUS TV in UK contacted us to do research on a planned programme about British businesses owners in Florida. November 2015 BBC Game show Family Reunion used us for research. September 2015 Newcastle University in the UK hired us to market their Miami student recruitment event. August 2015 Recorded British accent promo voice-over spots for Shake Radio 108 in Miami. February 17, 2015 TV producer in London consulted on their planned programme about Brits in Florida. April 14, 2015 A Place in the Sun TV programme /magazine in the UK called us for assistance with research on Florida expats. December 8 and 9, 2014 Radio Station 850 WFEL in Ft Lauderdale interviewed me twice on British matters. October 2014 Outline TV productions in London used us as a consultant to plan a documentary about British emigrants to Florida via an E2 business visa. February 25, 2014 NPR [National Public Radio] interviewed me re David Beckham’s soccer team coming to Miami. March 2014 Brit Week Miami used our marketing services to promote its event. July 22, 2013 NBC News sent a camera crew to interview me on the Royal Baby–appeared on the NBC 6 evening news. February 2013 —Kravis Center for the Performing Arts in West Palm Beach used our marketing services to promote one of their shows. February 2013 —King Center for the Performing Arts in Melbourne used our marketing services to promote one of their shows. 2013: Trayford Equestrion Center of Ocala used us for marketing their services. January 15, 2013 —The British Government [Florida Consulates used our services to reach expat Brits for an event in Miami. January 6, 2013 —Jacksonville Scottish Festival used our marketing services to promote their February 2013 Scottish Games. January 17, 2013 —Scottish-American Society [SASSF] used our marketing services to promote their January annual Burns Supper and concert in Ft. Lauderdale. February 2012. Google Inc in California contacted about hiring a British IT person [UK or USA based] for a research project. May 2012 Paramount Pictures used as a source for British props in a film being made in Miami. May 2012 Disney Soccer Academy used our services to market their June 2102 Orlando soccer camp with UK Premier league players. January 2012 ITV producers hired us to find Florida subjects for a new programme to air in the UK. “We’ve had an amazing response from the ad you sent out, thanks! Very worthwhile.“—-Testimonial from ITV producers. January 2012 Orlando company used our Headhunting service to find British employees. January 2012 Place in the Sun UK TV show used us as source on their programme about Brits in Daytona Beach. December 12, 2011 A London Film company used us a source for a planned programme about problems faced by Florida expats. November 2011 South Florida Business Journal used us as a major quoted source in article about E2 visas. October 2011 Orlando company used our marketing services to hire British staff . October 2011 UK -based communications company used our services to market a new service for watching UK TV to Florida resident expat Brits. September 16, 2011 Promotions company for a major UK beer brand used our marketing services to find British brand ambassadors in Florida, to test market a new British ale in the Florida market. June 16, 2011 Interviewed on TV in Miami by ITN News about my work with the expat British community in Miami. June 7, 2011 LiveNation, the USA’s largest concert promoter used our marketing services to promote their UK artist Bryan Ferry’s show at Fillmore Miami Beach. June 1, 2011 The BABC Miami used our our email blast service to promote its annual Queen’s Birthday event. April 27, 2011 CBS News Channel 4 called Patricia Kawaja to discuss Royal Wedding. April 25, 201 Spanish language TV station invited Patricia on to do a spot about the Royal Wedding. April 24, 2011 Biltmore Hotel in Miami used us as a source for Royal Wedding items. April 21, 2011. The Charlotte Sun Newspaper used us a source for their Royal Wedding events in west Florida article. March 2011. A UK Currency company used our Jobs headhunting service to find British staff in Florida. March 12, 2011. Patricia hired for British accent voiceover work by translation agency in Miami. February 25, 2011 The Broward Center for the Performing Arts [BCPA] used our email blast service again to promote their Colin Hay Show. February 2, 2011 The Broward Center for the Performing Arts used our our email blast service to market its Big Sea Celtic Band show to the South Florida British and Irish community. February 1, 2011 ITV in London used us a source on future programme about British home-buyers in Florida. February 4, 2011 California LA Talk Radio producers invited Patricia Kawaja on to do a spot about the British. January 2011 The Scottish-American Society [SASSF] used our our email blast service to market its Scottish Games and Burns Supper . December 12, 2010 Lloyds-TSB Bank used our email blast service for the fifth time to market its financial products. December 1, 2010 International recording studio in Miami used our email blast service to find British voices for a project. December 3, 2010 The British-American Business Council used our email blast service to sell tickets to its Christmas luncheon in Miami. December 2, 2010 Cruise One agency used our email blast service to sell cruises to Brits on Cunard’s Queen Victoria March 2011 cruise from Ft. Lauderdale. November 16, 2010. UK producer from SKY TV used British Bureau as source for future programme about Brits moving to Miami. November 16, 2010 Titusville Radio Station broadcast an interview with Patricia Kawaja about the Royal Engagement. October 2010 Remy Cointreau/Macallan Scotch whisky used our headhunting service to hire a Florida-based ambassador for the Macallan Scotch Whisky brand. September 2010 Southeastern TV Studios in Vero Beach used our headhunting service to find British spokespeople. September 2010 Nielsen TV research in Tampa used our headhunting service to find on-site British writers/reviewers. September 2010 Lloyds-TSB Bank used our email blast service for the fifth time to market its financial products. September 9, 2001 Producers from Sky TV used us as source for planned programme about Brits buying businesses in Florida. August 17, 2010 Sun Newspaper UK used the British Bureau as a source on a story about Brits facing problems in Florida. August 12, 2010 Telegraph Newspaper [UK] did a phone interview for future article on British accents in USA and my voiceover work. June 15, 2010 Independent on Sunday Newspaper [UK] contacted me as source on story about BP Oil Spill. June 11, 2010 Univision TV contacted our office to find British World Cup Fans for its progarmme. June 22, 2010 Univision [different producers] contacted us on a similar World Cup Matter. June 10, 2010 used as a source for Voice of America article about British property investors in Florida. June 2010 LiveNation used our marketing services again to promote their UK artist Jamie Cullum. June 2010 LiveNation, the USA’s largest concert promoter used our marketing services to promote their UK artist Imogen Heap. May 2010 Awesome Global Events of MIami used the British Bureau to market the 4 day International Cricket event in Ft. Lauderdale. May 2010 The British-American Business Council of Miami used the British Bureau to promote its annual Queen’s Birthday Dinner event. April 2010 Lloyds-TSB Bank used our email blast service for the fourth time to market its financial products. March 2010 Naples Art Center used the British Bureau to promote its Princess Diana exhibition March-June 2010. March 2010 Voyages of Discovery UK Cruiselines used our email blast service again to promote their UK cruises to Florida Brits. March 2010 LiveNation, the USA’s largest concert promoter used our email blast service again to promote their UK band Arctic Monkeys Show. February 15, 2010 The London Guardian Newspaper used us as a source on a Florida article. February 2010 The Broward Center for the Performing Arts [BCPA] used our email blast service again to market its Irish Tenors show. February 2010 The Ivy Restaurant [from London] used our email blast service to market its Miami restaurant. January 2010 Hairventure British Salon in Weston used our Jobs headhunting email blast service to British hairstylists. January 2010 Lloyds-TSB Bank used our email blast service for the third time to market its financial products. January 2010 Jennifer Tyler Fashions [British-owned ] Miami used our our email blast service to market its January trunk show event. Jnauray 2010 Company in Wilmington North Carolina hired Patricia Kawaja for a British accent voiceover project. January 2010 The Scottish-American Society [SASSF] used our our email blast service to market its Scottish Games and Burns Supper . November 2009 Master Chorale of South Florida used our email blast service again to market its concerts. October 2009 Lloyds-TSB Bank used our email blast service again to market its financial products. October 2009 Broward Center for the Performing Arts in Ft Lauderdale used our email blast service to promote its Irish show. August 20, 2009 Contacted by UK publication Emigrate USA as an editorial source. July 2009 Cash4Gold used our email blast service to hire British staff. July 2009 Lloyds-TSB Bank used our email blast service to market its financial products. May 2009 The Grammys used our eBritNews and website to promote Grammys Beatles music book event Here There, There and Everywhere at Miami’s Arsht Centre. April 2009 UK company The Telly used our head-hunting service to find British staff in Florida. April 2009 LiveNation, the largest concert promoter in the USA used our email blast service to promote their Tom Jones show. March 2009 British-Consulate General Miami used our head-hunting service to fill executive vacancy at Miami office. March 2009 The Florida Grand Opera hired the British Bureau to promote their show with British operatic star Bryn Terfel at Arsht Center Miami. February 2009 The London Daily Mail/Mail on Sunday newspapers used British Bureau as a source for a new marketing project in Chicago. February 2009. LiveNation, the largest concert promoter in the USA used our email blast service to promote their M0rrissey show. 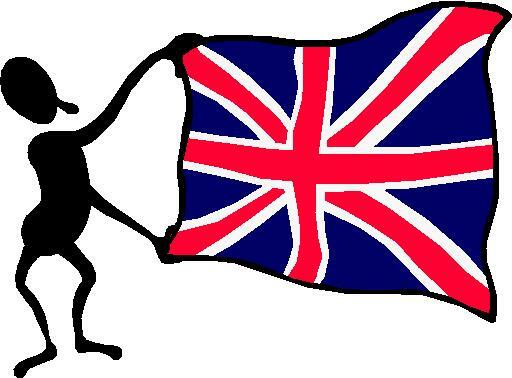 February 2009 Sage Enterprises in Boca Raton hired the British Bureau email blast service to hire Brits for their Ft. Lauderdale call center. January 2009 The International Polo Museum in Palm Beach hired the British Bureau to market their UK-USA tournament to the British community in South Florida. January 16, 2009 ITV television producer in London contacted us re a planned programme set in Miami starring Piers Morgan. December 19, 2008 The London Evening Standard contacted me as source for an article about Florida Brits affected by the Madoff swindle. November 2008 The London Daily Mail/Mail on Sunday newspapers hired British Bureau for a new marketing project in New York. October-November 2008 SkyNews UK used me as aconsultant/local source and on-camera interviewee on their 2 week series of broadcasts from Miami Beach about the US elections. October 21, 2008 ITV Granada called for assistance on a planned programme about Brits having house problems in Florida. September 12, 2008 BBC Producer called for assistance on programme about UK Brits moving to Florida via buying a business. August 21, 2008 British Heritage Magazine [USA National] contacted me as source for future article on British Community in Florida. August 8, 2008 ITV News in UK called me as source for latest programme about Brits in Florida. August 2008 Assisted SkyNews in the UK with a planned programme in Miami. Feb. 2008 Bloomberg Report TV programme in Washington DC called me about Tony Blair’s visit to Miami. May 2008 Called by producers of UK TV show No Place Like Home seeking Brits who want to move back to UK. Since Florida Brits dread the thought of having to move back to UK show will be hard-pushed to find subjects I advised them. December 11, 2007 Contacted by ITV planning a programme about Brits in Florida having property problems. November 29, 2007 The Travel Channel contacted me as a location source for series segment to be shot in Miami. October 2007 ITN News called me from Washington Bureau as source on story about Brits struggling with property/mortgage issues in Florida. July 25, 2007 ITV in London contacted me for research assistance on their planned programme about Brits building a home in Florida. JULY 2007 British company Punta Perla in Ft. Lauderdale used our Jobs for Brits Headhunting service. June 6, 2007 Orlando Weekly Magazine used The Britsh Bureau as a source on feature on Brits emigrating to Florida. April 20, 2007 Granada TV in UK first called me for a programme about British women in Miami. March 29,2007 The Sunday Times of London called me as source on a story they were planning about Brits owning property in Miami. Feb. 15, 2007 Flashback TV in UK contacted me for assistance on a programme about Brits in Florida, in development. Feb.14, 2007 producer from ITV called me for help on a programme they are planning. Feb. 8, 2007 The BBC Midlands contacted about a programme, searching for a Florida Brits from the Midlands. Feb. 3, 2007 Daily Express called me from UK for assistance on story about Brits in Orlando area affected by the deadly tornadoes there. January 11, 2007 BBC Radio contacted me for assistance on programme about British families who have recently moved to South Florida. Jan. 2007 UK’s The Guardian newspaper quotedme/mentioned British Bureau/FABB in a series of articles called Expats Around the World. Am currently [since Oct. 1992] the Florida editor for Union Jack Newspaper, the only national publication for the British community in the USA. Part of my work for UJ consists of compiling the Florida circulation/distribution list for the paper, so I have exclusive knowledge of where Brits live and work in Florida. Dec 13, 2006 Disney Channel contacted me to assist with search for British Kids in the USA to appear in a new Disney Channel Show. December 12, 2006 FOX NEWS Orlando called me aboutas source on a UK news story. December 2006 FOX NEWS New York called me to be on be on a programme about the Royal Family. December 26, 2006 Miami Herald contacted me as a source for their story on Tony Blair’s visit to Miami. December 5, 2006 The Telegraph Newspaper London. Writer contacted me for asssistance with a real estate article about Brits living in the Keys. December 29, 2006. John Doe Entertainment Miami contacted me to assist with finding a British actor for a Lee Cooper jeans commercial. November 2006 Guardian newspaper [London] used me as source on feature about Brits in Florida. November 23, 2006 Contacted by Cheetah TV in London about a series for the Discovery Channel involving Brits in the Florida auto business. They used my services as consultant/researcher. October and November 2006 different producers from ITV phoned me about assisting on a programme they were planning about Brits in Florida. October 17, 2006 The Sun Newspaper in London called me on story about Brits in Florida. October 18, 2006 Spectra Media in London called me for figures on Brits in Florida. September 1, 2006 Florida News Network radio called for on-air interview about a British film coming out. September 2006. Comcast TV featured me as one of their 5 minutes-long NEWSMAKERS segments for my work with the British community iin Miami. August 2006. The British Government’s Institute for Public Policy, the UK’s largest official Think Tank, working with the BBC contacted me to supply data for a new research project on ˜Brits Abroad. They said it was the most concerted and comprehensive effort made yet to map the scale and nature of British emigration. The whole project was supported by the Foreign and Commonwealth Office and they were planning to disseminate the research findings in collaboration with the BBC. August 10, 2006 Contacted by Fox News Channel 35 Orlando as source for their story. July 2006 the BBC featured me on the BB1 Breakfast News [about Brits buying businesses in Florida]. June 2006 OVERSEAS PROPERTY CHANNEL produced by Rapid Broadcast TV contaced me about appearing on their show, talking about the Miami lifestyle of Brits. June 2006 The prestigious Washington Post newspaper featured the British Bureau’s work in an article about Brits buying businesses in Florida. June 8, 2006 BBC World Radio flew their reporter over to Miami and taped an interview with me for 2 hours, to be broadcast worldwide by BBC for a series about expats around the world. Interview was about The British Bureau and they used this website as a primary source to locate other Florida Brits to interview. June 21, 2006 LIVING ABROAD Magazine [UK] requested collaboration on finding British families in Florida to feature. May 2006 The UK’s A Place in the Sun Magazine wanted to run a feature on my work with British in Florida. They scheduled a reporter to come out to Miami to interview and photograph me. May 30, 2006. The Washington Post–the most respected newspaper in America called me as source for an article on Brits buying property in Florida. January 2006 Keo Films of London hired me as consultant for their documentary series A LIFE IN FLORIDA. January 2006 The Mail on Sunday used me as source on an article about a British celebrity’s daughter in Miami. MARCH 2005 Wales Tv contacted as source for a documentary about a famous Welsh footballer who moved to Florida. April 2005 Telegraph of London researcher contacted me for assistance on an article about Brits buying property here. May 2005 Producers of the movie MIAMI VICE [starring Colin Farrell and Jamie Foxx] contacted British Bureau twice for assistance on finding British extras for movie. The film was made on the streets of from 2005-2006. July 2005–Top UK production company Shine TV hired me as consultant on their programme BUILD A NEW LIFE BY THE SEA [in Florida]. July 2005 Appearance on ABC News Channel 10 Miami. September 2005: Producer from the Channel 4 UK TV show HOLIDAY AROUND THE WORLD, to assist with Florida segment. October 2005 BBC phoned to use me as a source on their programme on how Hurricane Wilma was affecting Brits. December 2005 FOX Soccer Channel [USA] contacted me about planning an event for Brits soccer fans in South Florida. February 2004. Did PR/promotion to the British community for the Palm Beach Jewellery and Antiques Show at the Palm Beach Convention Centre. April 2004 NEW HORIZONS MAGAZINE—-fullcolour glossy magazine, published in UK and Florida, for Brits buying property in Florida. Wrote lengthy feature about my work, due for publication around May 2004. Then magazine folded! June 2004 London Sunday Times used me as a source on an article about Brits buying property in Florida. September 14, 2004 Comcast TV featured me as one of their Newsmakers on a broadcast showcasing the British Bureau work in Miami. September 2004 The NEW TIMES newspaper of Miami did a feature on the British Bureau called Cool Britannia. September 2004 BBC Question Time programme [on location in Miami] contacted me as source and research for aprogramme to be shown on BBC World. October 1, 2004 Channel & WSVN interviewed me on the important Dimbleby Biography about Prince Charles. Miami Herald and Ft. Lauderdale Sun-Sentinel also called me for comments on same subject. October 2004, The Telegraph [London], one of the world’s most prestigious newspapers, published my fullpage article about the British community in Miami. January 2003 The Art Palm Beach International Artfair in Palm Beach had me promote their event to the British community, sponsored a cocktail party for British Bureau clients and FABB members and gave us free tickets to the exhibition. FEBRUARY 2003 The Miami Herald did another major feature on my British Bureau and work with the British community in Florida. February 2003 Channel 4’s A Place in the Sun consulted me about Brits who own property in Florida. MARCH 2003 Granada TV UK consulted me about a planned new musical roadshow based in the USA. JUNE 2003 Scottish TV consulted me for a programme about Florida Brits who own their own businesses. JULY 2003 Ft.Lauderdale Sun-Sentinel used me as source on an article about immigrant entrepreneurs. AUGUST 2003 Berlitz International HQ in new Jersey hired me [again] as a consultant for its Cross-Cultural Training programme, for corporate clients relocating from UK to Miami. OCTOBER 2003 Berlitz International HQ in new Jersey hired me as ahconsultant for its Cross-Cultural Training programme, for corporate clients relocating from Uk to Miami. NOVEMBER 2003 Met with WLRN Public TV/Radio in their Miami office Miami abour promoting their BBC World Service and other British programming to Miami British community and how to attract more local British listeners to their station. NOVEMBER 2003 Sunday Times of London used me as a source on a major 2-page colour feature about Brits buying property in Florida. December 2002 GMTV in UK consulted me on 5 planned films about Brits who have moved to Florida. November 2002 The BBC in Manchester contacted me as a source on a planned programme about British nurses in Florida. NOVEMBER 2002 Channel 4’s A Place in the Sun consulted me about another planned Florida programme. July 2002 BBC Researcher from Escape to the Sun called me as a source for a planned programme. May 2002 BBC produicer from BBC1 Development Unit contacted me as source on planned programme about Brits buying real estate in Florida. April 2002 A California TV producer phoned. “Patricia, we are looking for a needle in a haystack. We need to find a private house, somewhere in the USA which has a British pub INSIDE. We want to shoot the show there. We will fly to any state, but cannot find the right house. You are our last resort.” I found their needle in Florida. A British-owned house where the owner had built a complete replica of a British pub to entertain his Britpals. Producers said it was exactly what they needed, flew out a crew to Florida and aired it on national USA TV. March 2002 A Place in the Sun UK TV programme produced in London, shot in Florida contacted me a source for their programme about UK Brits moving to Tampa. January 2002 The Art Palm Beach International Artfair in Palm Beach had me promote their event to the British community, sponsored a cocktail party for British Bureau clients and FABB members and gave us free tickets to the exhibition. MARCH 2001 The UK newspaper GOING USA [now called Emigrate USA] did a feature on the Florida Association of British Busiiness. Called BRITS STAND UNITED IN FLORIDA. Used Patricia Kawaja as a source and for quotes. March 9, 2001 Miami Daily Business Review newspaper featured me as a major source in their 4 page consumer feature called Brits in a Bind. May 11, 2001 The Palm Beach Daily Business Review did a photo-feature on FABB’s Business Card Exchange in Delray Beach. July 9, 2001 the Ft. Lauderdale Sun-Sentinel did a 2 page colour photo spread in the Your Business section, featuring my work with FABB and the British business community. NOVEMBER 2001 Granada TV UK used me as a source on a programme about British celebrities living in Florida. September 22, 2000. The South Florida Buisness Journal sent areporter to do afullcolour feature on one of my FABB meetings in Boynton Beach [Palm Beach County]. July 2000 BBC producers at BBC Bristol in UK contacted me as source on planned programme about Brits living in Miami. May 2000 The top casting agency in the world, based in Hollywood, CA called me to assist them in casting a British boy as….Harry Potter! Eventually of course, the part went to Daniel Radcliffe. February 1999 London Weekend Television hired me as a consultant on their programme about Brits in Miami. February 1999 Berlitz International HQ in new Jersey hired me [as a consultant for its Cross-Cultural Training programme, for corporate clients relocating from UK to Miami. March 7, 1999 The Ft. Lauderdale Sun-Sentinel used me as the source on a major colour feature about tbe Welsh community in South Florida. March 1999 BBC’s The S Club used my research services for programe made on location in Ft. Lauderdale. June 199 Elite TV in Yorkshire consulted me for several planned Florida programmes. June 30, 1999 The Ft. Lauderdale Sun-Sentinel newspaper did a fullpage feature on my expanding FABB [Florida Association of British Business] into Palm Beach County, with a Palm Beach chapter, meeting in Lake Worth/Palm Beach and Boca Raton. June 20, 1999 TV appearance on FOX News New York via satellite hookup as commentator on Prince Edward’s Wedding. August 13, 1999 WPBT TV [PBS station Miami] I did a one-hour live TV pledge on that station at their request, targeted at their viewers of British programming. January 1998. Boca Raton colour glossy magazine used me as their primary source and featured the British Bureau in the 7 page colour spread about the British in South Florida. January 1998 Discovery Channel in New York consulted me for a planned programme about the British community in the USA. March 1998 Headhunting work for UK company Zoom Equipment, They were setting up office in Miami and wanted to hire British staff. October 1998 London Weekend TV [LWT] made its series Miami Uncovered in 1998 and used my services several times. I found them a perfect British-owned location, a British-run hotel on South Beach which allowed them to film there free without pulling permits. They used that as “base camp” for their 8 week shoot and told me what I saved them on arranging that ideal location was worth my fee many times over. May 29, 1998. Ft.Lauderdale Airport Marketing Department called me in for a meeting there with British Midland Airlines representatives from UK. They consulted me on whether there would be a demand from the South Florida British community for a new route to UK. They had me survey FABB’s British business members for their opinions, plus I provided other stats and overviews for them. July 1998 The New Times Newspaper, Ft Lauderdale published a feature on The British Network. October 1998—-May 1999. I was the Florida Editor for Mad Dogs and Englishmen magazine, published in Los Angeles. This was a high quality, colour glossy magazine–an intellectual and original look at all things British. It folded after a few issues, sadly–ran out of money. November 1, 1998 The Ft. Lauderdale Sun-Sentinel used me as the main source and quoted me in a colour feature about the British community in South Florida. December 1998 BBC Entertainment at BBC TV Centre in London hired me a consultant on their programme The Other Half. 1999: “Patricia, we couldn’t have done it without you.” Helen Trowbridge, producer BBC TV’s THE OTHER HALF. They used my headhunting services to find them Florida contestants for their BBC reality show. Sept. 1, 1997 Sun-Sentinel quoted me in article about Princess Diana’s death. September 1, 1997. The Miami Herald used me as a source on its story about Diana’s death. September 7, 1997 Ft. Lauerdale Sun-Sentinel newspaper used me as source for article on Princess Diana’s funeral. September 7, 1997. The Miami Herald used me a source on their article about Princess Diana’s funeral. November 10, 1997 ABC News Channel 10 Miami interviewed me about English nannies. August 25, 1997 The Miami Herald Business Monday did a cover feature on my launch of the Florida Association of British Business [FABB], of which I’m President, called DOING BUSINESS THE BRITISH WAY. December 5, 1997 The Ft. Lauderdale Sun-Sentinel newspaper featured my British Network in a photo-feature spread. January 1996 Don King Boxing promoter, with Showtime TV hired Patricia Kawaja to create marketing campaign to promote his match between British boxer Frank Bruno and Mike Tyson to Florida Brits. May 13, 1996 The Tampa Tribune newspaper used me as a source and quoted me in article about British fans watching FA Cup Final in west Florida pubs. July 1996. Wrote a column for Atmosphere, Sir Freddie Laker’s inflight magazine, on the Florida–London routes. August 1996 Patricia Kawaja was featured on BBC1’s programme FLORIDA FOLK about British immigrants who have made a successful transition to Florida. September 8, 1996 The Ft. Lauderdale Sun-Sentinel newsppaer did a fullpage Community Close-up feature on my work with the British community, titled Kawaja Helps Brits Move to the USA. October 1996 Florida Trend Magazine used me as a source for their article on British pubs across Florida. December 5, 1996. The Miami Herald used me as as source in their Food section [about English fish and chips]. January 30, 1995 The Sarasota Herald Tribune newspaper used The British Buureau/Patricia Kawaja as their main source and quoted me in a feature about British pubs in Florida. February 1995. Marketing work for Demographic Profiles in New York researching Florida’s British community. February/March/April 1995 Promotion /publicity for HRH Prince Edward Royal Ball in Miami on April 25, organised by Mike Winters. March 18, 1995. The Ft. Lauderdale Sun-Sentinel newspaper used me as a source on a frontpage article about the conflict in Northern Ireland and British role. March 19, 1995 The Ft. Lauderdale Sun-Sentinel used me as a source on their article about Immigration changes affecting the Brits. March 1995. Marketing work for the Florida Philharmonic Orchestra, whose conductor James Judd was British, targeting local British classical music-lovers. April 30, 1995 Ft. Lauderdale Sun-Sentinel in City Plus section featured the British Bureau in an article about local British businesses. July 1995 Boddington’s Beer [UK] used the British Bureau to help create their marketing plan to launch Boddington’s into British pubs across Florida. August 1995. UK Sports in New Jersey, USA used my services for marketing. They were targeting all British pubs in Florida. October 1995 Mature Lifestyles Magazine of Ft. Myers, Florida used me as source on article about British in west Florida. October 1995 Bracken Publishing in UK used and quoted me as an expert source [on Florida] in their reference book “Passport to a Better Life”–a guide for Expats around the world. January 31, 1994. The Miami Herald featured my letter, “The British are Coming, to Invest” as their headlining letter. August 1994 Guest on WPTL Radio show about British business in Florida. October 22, 1994 The Miami Herald used me as a source for and article about Prince Charles and Princes Diana. November 1994. B eekman Merketing in New York hired me for marketing work. They were targeting all British clubs in Florida. March 1994 American insurance company in Boca Raton hired Patricia Kawaja to record their Messages on Hold for company phone system. APRIL 1993 Article in Miami Herald about the work of my British Bureau, their headline dubbing me MISS BRIT. December 1993 South Florida Business Journal, featured my work with the Union Jack Newspaper [Florida]. Hosted own hour-long, weekly radio show for British listeners on WVCG radio Miami called The Florida Welcome Show. Hosted a second radio show [one hour long, aired every week] for Brits on WLQY Radio Miami. Show was called The British Breakfast Show. October 1992 Became the Florida editor for Union Jack Newspaper, the only national publication for the British in the USA. May 9, 1992 The London Mail on Sunday quoted my Brit Mgazaine newspaper column in article they did about Brits in Florida. June 1992 A CURRENT AFFAIR national syndicated TV programme in New York called me re appearing on their show to talk about a British matter. December 11, 1992 The Miami Herald used me a source in article about Prince Charles and Princess Diana. British-American Golf Association of Florida hired me to do promotional/marketing work for them, including writing brochures for BAGA tournaments and finding British company sponsors in Florida. The BAGA work was over 18 months 1992-1993, till the British owner went back to UK. April 1992 Local TV stations interviewed me about Prince Andrew’s divorce. January 1992 in Palm Beach. Sarah, Duchess of York was at THe Polo Club to watch her father play. I attended as media, met “Fergie” and local TV stations interviewed me about the event. BBC and other UK media had flown over to Palm Beach for the event too. May 1991 started work with BRIT MAGAZINE, writing a montly newspaper column about the British community in Palm Beach/Broward/Miami. My column continued till 1992 when the magazine [published in Kissimmee] folded. For same publication was the South Florida ofice–marketing and advertising, building the brand and locating British businesses. MAY 1991. The Queen’s only state visit to Miami. I was interviewed many times by local TV stations on Royal matters and the Miami Herald booked me as a celebrity judge for the Queen Look Alike contest held at the Inter-Continental Hotel, Miami. May 10, 1991 WSVN Channel 7 paid me to participate on a TV show about the Royal Visit. September 1991. WSVN Channel 7 sent up a camera crew to interview me about Prince Charles/PRincess Diana’s 10 year wedding anniversary. Other local TV affiliates [ABC/NBC/CBS] also interviewed me several times throughout the year on British matters. ££ TIP: WANT TO SAVE WHEN TRANSFERRING over UK CURRENCY? DON’T USE YOUR BANK! Use Moneycorp. [ I use Moneycorp myself–FABB President.] The pound is shaky. That affects all expats in Florida who still have UK dealings. To transfer your precious funds, we highly recommend you use the services of Moneycorp. At lower rates than any bank! This will save you fees and grief, as we Londoners say! What your own bank won’t do is save considerable exchange fees, like Moneycorp. NOW is an advantageous time for you to transfer any funds you have. THE BEST WAY: Moneycorp, the UK company with an office in Florida and droves of satisfied Florida clients. It is the only UK currency exchange company licenced to deal in 50 states. Many expat Brits here have used this currency service for years and report huge savings and satisfaction. TO FIND OUT MORE: Phone Moneycorp’s Kelly Cutchin on  207-6616 at their USA HQ in Orlando to ask all your questions. Or email your query to kelly.cutchin@moneycorp.com Moneycorp’s HQ is in England. Posted by the Florida Association of British Business [FABB]. Moneycorp have been trusted members since 2005. Publisher of this website: Patricia Kawaja, the British Bureau of Florida. Tel. 371-9340 Miami direct office line.